You can let me know how close I got to what you were thinking. Ordinarily yes/no questions are preceded by hash, but I think the lack of hash here works to make this kind of an echo question (e.g. “You’re nothing but a lazy daffodil!”, “I’m a lazy daffodil?!”). San athchomari, zhey ingsve! I’d coined the word lekhmove for “conlang” previously, but this is the first time I’d seen lekhmovek for “conlanger”. I like it! It’s funny. A lot of times it’s hard to fit large Dothraki words into the slender frame of a haiku, but in both of these, we had to not contract a word in order to get the right number of syllables. In order to tackle this translation, one has to come to terms with the English, which, I think most native speakers would admit, is fanciful, at best. If one were to switch out “Death” for, say, “teacher”, one would probably say, “Now I’m a teacher”, or, perhaps, “Now I’ve become a teacher”. The use of “am” is reminiscent of an older form of English where people said things like, “Now I’m come” to mean “Now I’ve come” (if you want to learn more about it, look up unaccusative verb and prepare to have your mind melt). Dothraki doesn’t have anything like that (he said, sweeping under the rug material for potential future blog posts), though, so before one translates the quote, one has to reword it a bit. Yesi nemo ficho mehas venikh veri. That could work, technically, but I get the sense that it would mean something more like, “I took on the semblance of Death”, or, “I turned into Death”, which I think kind of defeats the tone of the thing. It’s more direct as it is, and the translation should reflect that. Ajjin anha Athdrivar: Ohharak rhaesheseri. Perhaps one could say “Athdrivaraan” and cast it as the future tense. Depends on how you read it. Nice job, ingsve! Way to push the envelope. I have to admit this one sent me to my dictionary. I knew eyel was “rain”, but the verb eyyelilat is something that Qvaak coined for this poem. The verb eyelilat is a stative verb meaning “to be spotted” (like the ground after it’s begun to rain lightly). 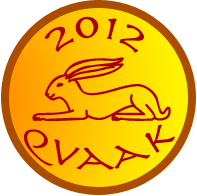 Qvaak causativized it to produce eyyelilat, which means “to spot” or “to put a spotted pattern on”—then he passivized it! Nice. I was trying to figure out what the poem actually means, and what I can guess is that there’s a rock, and there’s actually a gem inside, which you can see sparkling? Reminds me this old thing. The meaning of the flower, though, escapes me. Edit: If you take a look at Qvaak’s comment below, you’ll see that he meant “ford” when he used dani. “Ford”! I never thought I’d see another person use that word in a million years. The idea is to evoke spring rains and spring flooding. Yet again, Qvaak coined a word, and it makes perfect sense. Veltor is the word for “yellow”, and veltorat means “to be yellow”, so, of course, veltorolat means “to yellow” or “to grow yellow”. Very nicely done! If only it would have fit the syllable count, I think vervenoe would’ve worked even better in place of vervena. Edit: Qvaak intended “People are red” as the translation of voji virzethi, but either translation works. This precious award comes with no physical prize. In fact, as the Dothraki don’t value money, it doesn’t even come with a virtual prize. It does, however, come with much respect. San athchomari, zhey Qvaak! And thanks to both Qvaak and ingsve for submitting haiku! I know specific grammatical information on Dothraki isn’t easy to come by even now, and the available lexicon is smaller than the total lexicon, but you took the plunge! And for that, I salute you. In other news, if you haven’t seen it elsewhere, I’m going to be presenting on Dothraki at the Southwest Texas Popular Culture and American Culture Association Conference next month. The conference is being held from February 8th to the 11th, and my talks will be during the day on the 9th, and in the evening on the 10th. The latter is open to the public. So, if you happen to be in Albuquerque, New Mexico, stop on by! It’ll be lots of fun. Update: Added audio of Qvaak’s poem. Periodically I’ll spotlight cool stuff being done by Dothraki community members here on the blog. 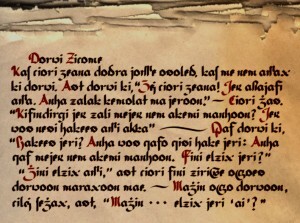 Today I want to take a look at something really cool done by Dothraki.org member Qvaak. Prior to the Fourth Language Creation Conference, attendees took part in the LCC4 Conlang Relay. 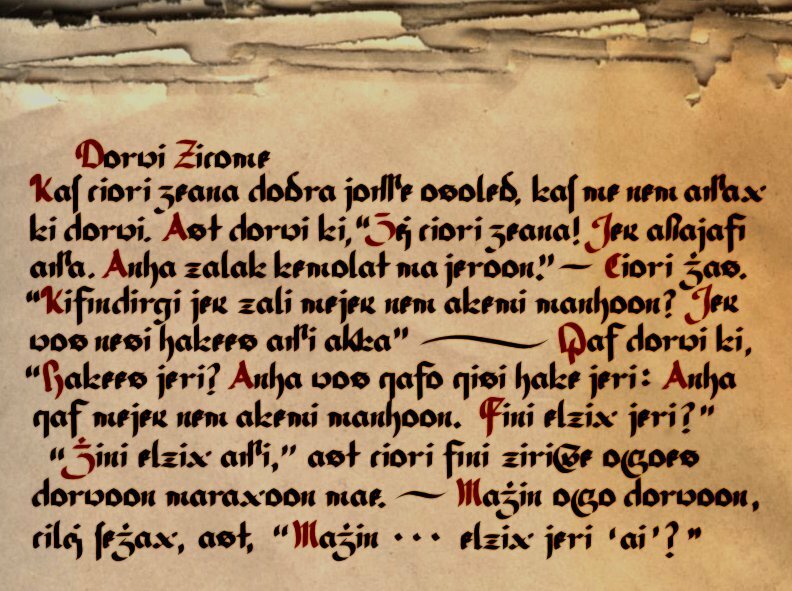 To start the relay off, I provided a text in Dothraki about an incorrigible goat. y > j: Probably doesn’t make a lot of sense to English speakers, but this is common enough in European languages (e.g. German, Dutch, Finnish, etc.). ch > c: It seems that one of Qvaak‘s goals here was to remove all the digraphs, which is a good idea, generally, but something I didn’t want to do for (primarily) English-speaking actors. For example, if chomat was spelled comat, no English speaker would pronounce it correctly. kh > x: When I create romanization systems for my own languages, I always use “x” for [x]. I couldn’t do it here, though, because “x”, to an English speaker, is [ks]. This is a good, uncontroversial change. 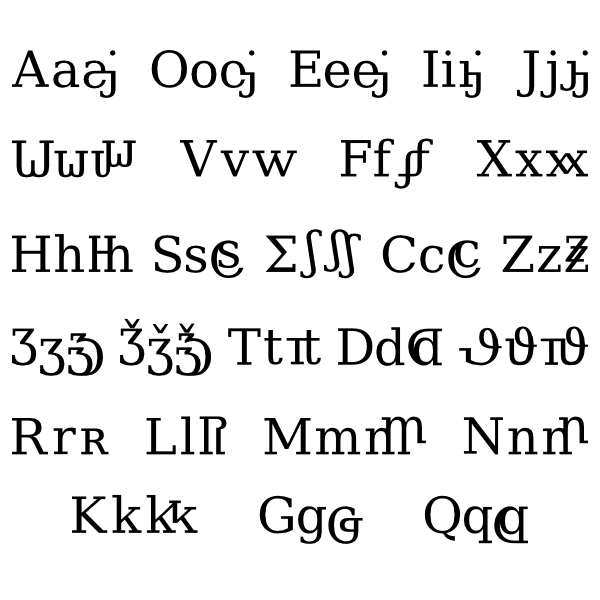 th > δ: Qvaak, you’ll have to forgive me if I got the wrong character, but that looks like a Greek lower case delta, as opposed to ð, which is a lower case eth. This change is rather controversial, in my opinion—and it’s always tough to choose a glyph when you need to represent [θ] in a romanization. 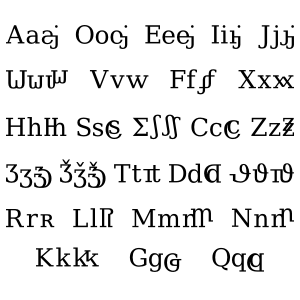 In the history of English, we used þ, which looks an awful lot like p. The character used here looks an awful lot like d—which, at least, will get you closer to the correct sound, but may be confused by readers without a d to compare it to. Looks neat, though! zh > ʒ: Love it. One of my favorite sounds, and one of my favorite Latin characters. ‘ > Ø: Of course, the apostrophes to indicate contractions are optional, anyway, so removing them helps to make the text look less cluttered. Good decision. 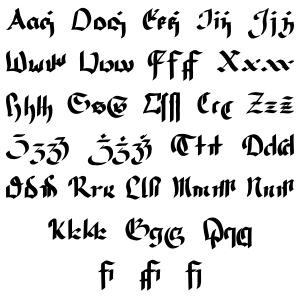 Now, of course, this wouldn’t work for Dothraki in the Song of Ice and Fire universe, since: (a) we know the Dothraki have no written form for their language, and (b) it’d be too incredible a coincidence for an orthography to develop naturally using the exact same glyphs that are used in the roman alphabet in our world. But in our universe, I have to say, it looks pretty good! 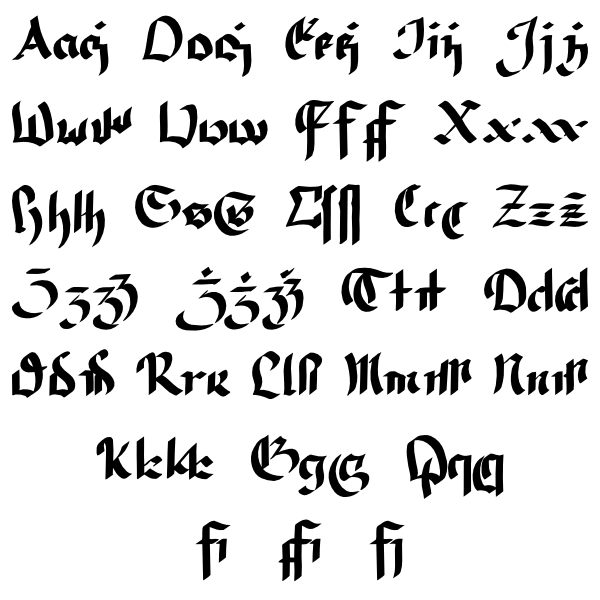 So, perhaps the question we should ask now is: Where’s the font, Qvaak? Great job! Totally love it. Also, for some feedback from Qvaak himself, check out his lengthy comment below.